Two of our family's cutie pies! 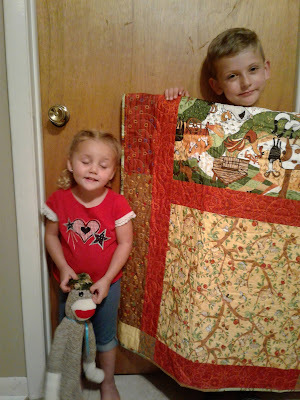 with their surprise gifts from Aunt Kathe. and Kayden has a belated "Big Boy Quilt"! Thanks Steve for sending these photos! Always fun to see people's families, They look very cute.